​The Eldorado Textile Project is based in a disadvantaged area on the outskirts of São Paulo, Brazil. 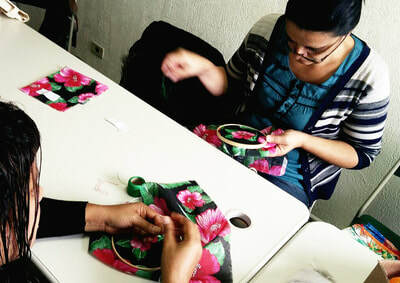 The project involves delivering workshops that teach textile skills to the local community in a supportive and empowering group environment which promotes self-esteem and encourages independence. The long-term aim of the project is to set up a cooperative that will enable the participants to sell their textile products. The workshops are held at ACER Brasil (Associação de Apoio à Criança em Risco/ Children at Risk Foundation: www.acerbrasil.org.br/ www.carf-uk.org ). 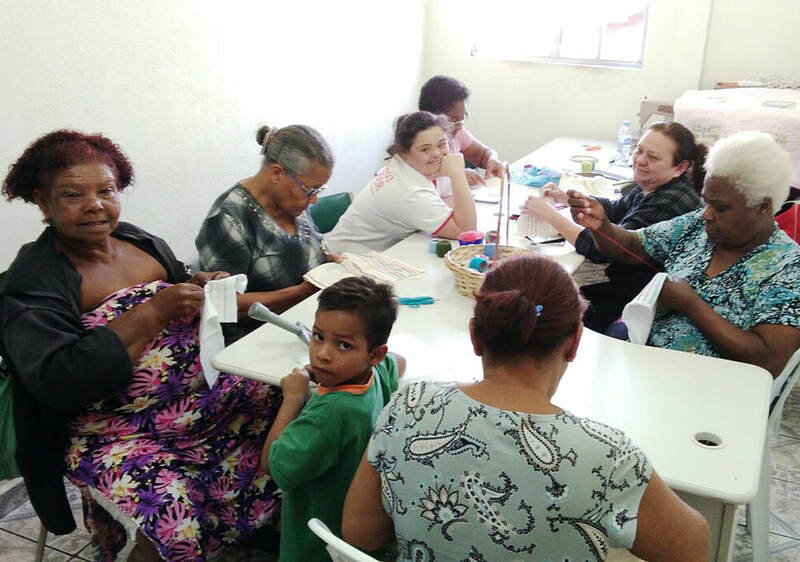 ACER’s base is an activity centre in the marginalized community of Eldorado, Diadema, used mainly by children but also by other groups from the local community. 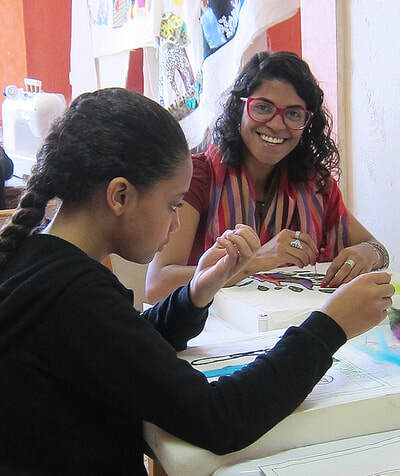 The workshops commenced on 14 March 2017 and are delivered by Carol Câncio, a local freelance textile teacher. 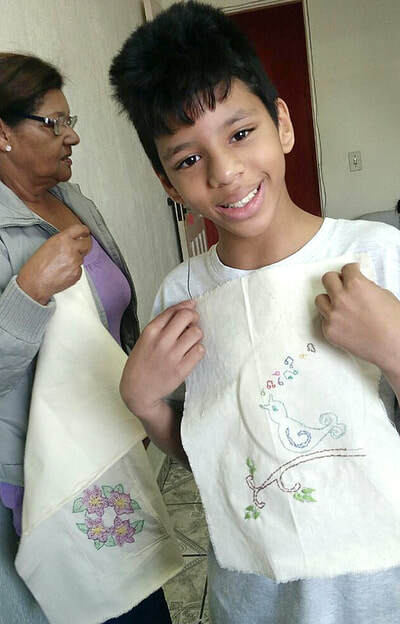 I had raised enough funding to cover the expenses (teaching fees, teacher’s expenses, materials and equipment in Brazil) for six months and the Coats Foundation Trust provided funding for a further six months. The Eldorado Textile Project currently provides training in textile skills for approximately 20 women and children on one day a week. Some of the women bring their children to an English language class that takes place at the same time. Others are from the ‘Guardian Families’ scheme affiliated to ACER, whereby children who are orphaned or whose parents are unable to look after them, generally as a result of drug addiction, are placed with members of their extended families rather than sent to shelters, where they frequently become addicted themselves. The level of skills that the women brought to the project was varied; a few of them had good hand sewing skills, but some had almost none. 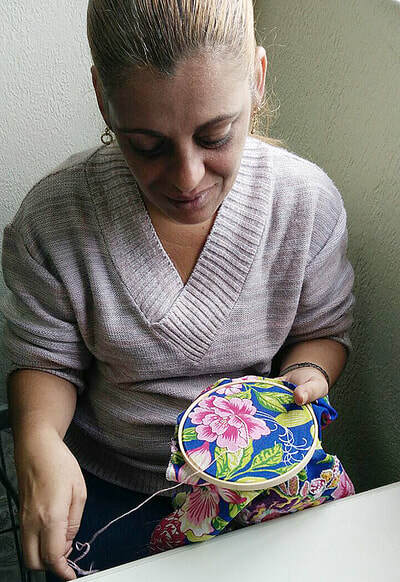 A 21-year-old from the Guardian Families scheme who has Downs Syndrome is able to do simple embroidery. The group’s first project was to make a simple shoulder bag out of calico with an embroidered panel forming a pocket on the front. 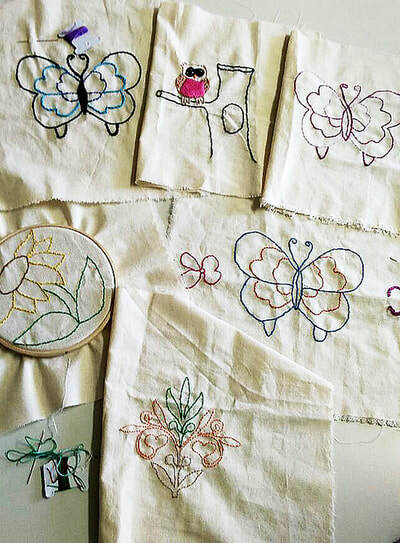 The embroidery motif was chosen by the maker and the outline embroidered by hand in backstitch. The bag was then constructed by machine. After making a shoulder bag, the women made samplers, which improved their sewing skills and extended their range of stitches. 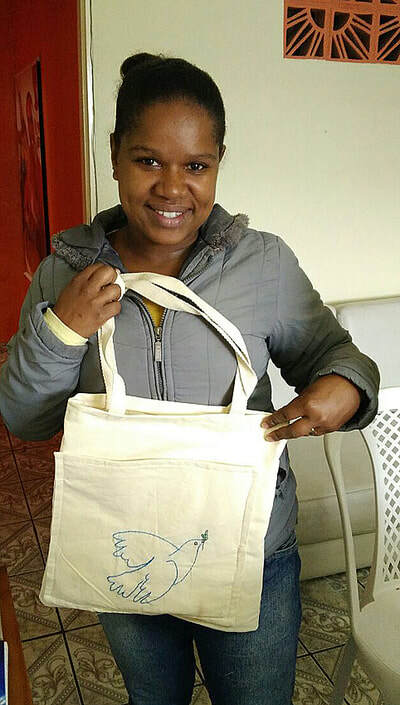 The aim of the next project was to produce items that could be sold. 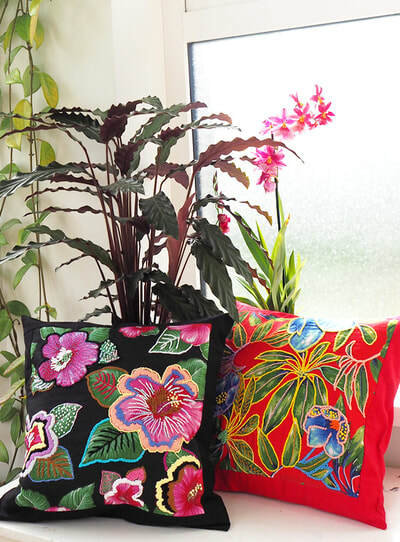 We decided that the focus should be on typically Brazilian motifs, and based the project on an iconic Brazilian textile, ‘chita’, an inexpensive, brightly coloured cotton with large flower motifs. 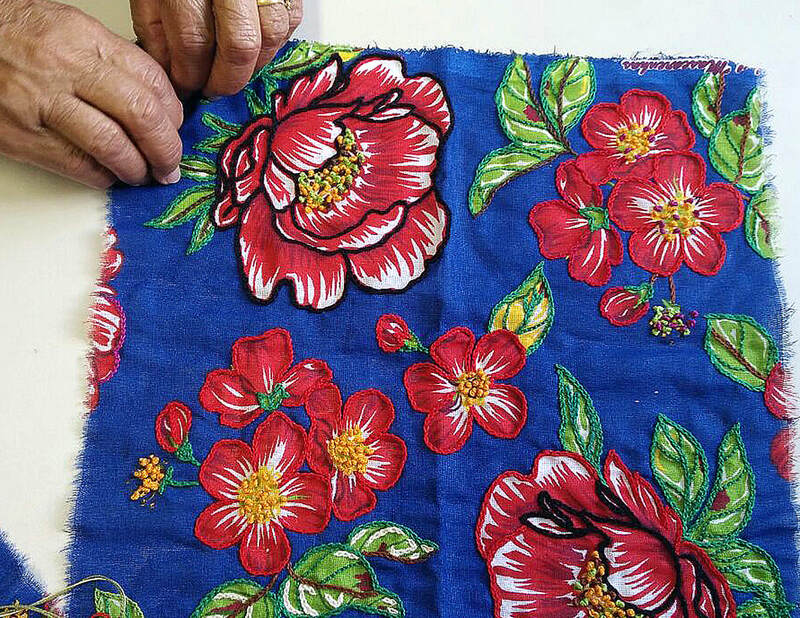 The thread used for the embroidery was mainly pearl cotton in bright and sometimes variegated colours. Traditional Brazilian embroidery is often dense and highly textured, and these characteristics are also apparent in the embroideries made by the women. 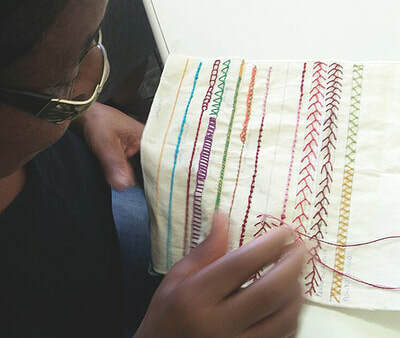 They are highly engaged and creative in their use of colour and different stitches. 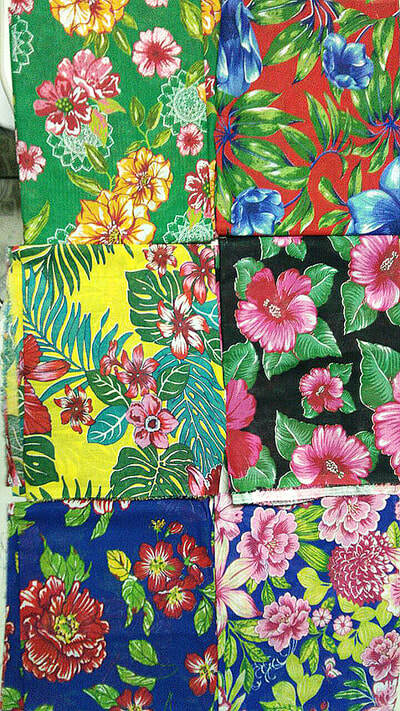 They achieved considerable proficiency and the end results are very attractive and saleable, colourful and exuberant like the Brazilian culture. The women embroidered pieces of fabric approximately 13 inches square, which were made into cushion covers by Carol or myself. My aim now is to make the project increasingly self-supporting alongside further fundraising for its continuation. 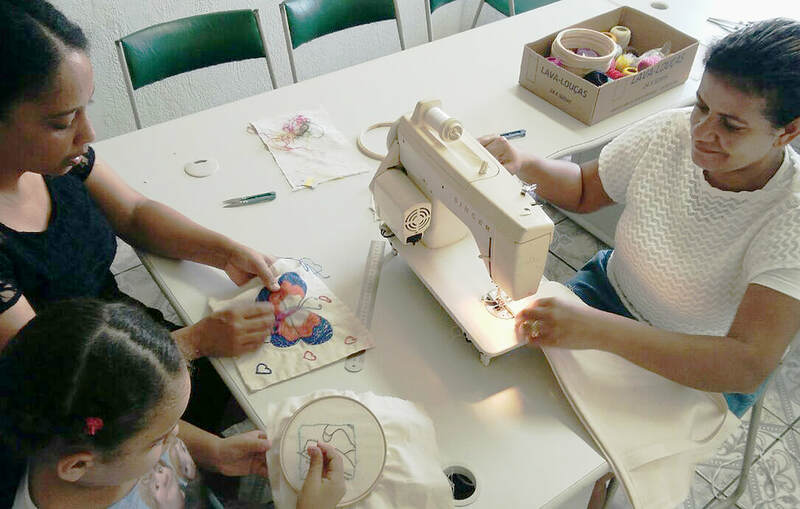 To this end, I am planning ‘coffee and craft’ fundraisers, where textiles produced by the women and other donated craft items will be on sale. The first one will be in London on 18 and 19 November, followed by another in Dusseldorf on 25 November, in time for Christmas shopping. Though set among high density, makeshift housing, I found the ACER activity centre to be a welcoming place with a friendly and vibrant atmosphere. I feel privileged to have the opportunity to work at first hand with a charity involving my passion, textiles, and very grateful for the generous support of the Coats Foundation Trust and members of London Quilters who have supported fundraising workshops in aid of this project.